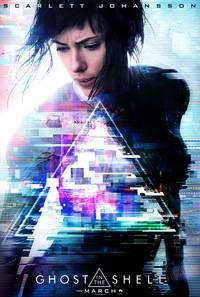 If Ghostbusters was last year’s big controversial remake, Ghost in The Shell will certainly be 2017’s. Over the past 20-30 years, Japanese anime has transitioned well into Western culture and cinema, with the appealing Studio Ghibli – offering dubs of Spirited Away, My Neighbor Totoro and Princess Mononoke among others – largely to thank for helping to bring the stylised animation of the East into the Western mainstream. Even back in the 1990s, however, there were a number of colossal Japanese properties that made waves in certain Western circles. These are largely revered as absolute classics in Japanese animation – Dragonball Z, Fist of The North Star, Akira and Ghost in The Shell all lead the pack – and, it seems, Hollywood has cottoned on enough to remake the lattermost of these works. It’s not the premise of a classic anime being made into live-action that has caught the ire of die-hard fans, however – it’s the problem surrounding the ‘white-washing’ of the story’s main character, Major Mira Killian – as Scarlet Johansson was revealed to have been cast as lead long ahead of any other details emerging. 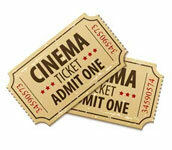 The reason why controversy arose should be fairly clear – but many held until recently to see whether the movie would hold up despite any bad publicity it may have garnered. The result? It’s rather middling. Major Killian is nothing short of the ‘perfect’ soldier – in a distant future where she is the first human to be revived in a new, cyborg body, she comes equipped with all the physical and intelligence enhancements needed to take down the growing threat of terrorism as part of Section 9. She and a band of Section 9 officers, in fact, are hot on the heels of a highly-wanted criminal (Pitt) – but while she may have the abilities and techniques to hunt down and bring all manner of cyber-criminals to justice, Major may not have the handle on her life before becoming a cyborg she thought she had. In fact, a number of flashes and episodes before her eyes suggest that she may have been lied to from the very beginning about how and why she came to be cybernetic. This, of course, leads our hero on a quest to find out the truth – and, naturally, this journey is never going to be smooth. Ghost’s story and the future it presides in have always been praised for being particularly inventive for its time (it started life as a manga in the 1980s) and its animated adaptation was widely applauded for its incredible visual storytelling on top of its captivating aesthetic – as such, the movie adaptation has worked hard to create a film that looks just as incredible. Visually, the movie is sleek, polished and, in some places, stunning – a climactic final showdown is well worth the wait, and along the way, we’re treated to stylised environments and tech that do well to help sell the story world to us. 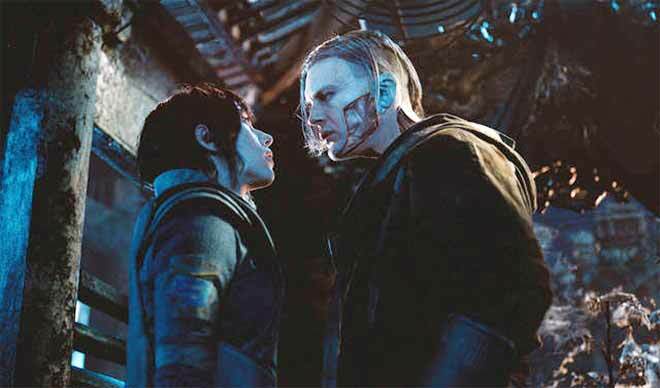 Sci-fi, however, has become so saturated in the years since Ghost’s anime hit cinemas that it perhaps won’t have as much resonance with current audiences. This is also where we need to address some of the problems that bring the film down – a lot of it rather is style over substance. While the movie does well to try and stay relevant to its source material, there is far too much exposition and predictable nuances here to allow it to stand on its own two feet. Regrettably, it will always be compared to the preceding manga and anime, and perhaps unfavourably – though these were incredibly high standards in the first place. The movie is incredibly derivative from many other sources and this is likely due to the sheer amount of time that has passed since sci-fi became one of the most profitable genres in modern cinema – anyone who’s unfamiliar with the original story and characters may have a pleasant enough time with the visuals, however, it’s decidedly unoriginal otherwise. Accusations of white-washing aside, a number of curious casting choices here help to add to a movie that certainly stands out, but does little to raise itself above the original manga and anime. Fans of the original works, too, will likely find it easy to pick faults – but as a straight-up adaptation of one of the most vividly-memorable sci-fi standards in Eastern entertainment, it’s nowhere near as gratuitous nor offensive as it could have been. It’s sad to say that the movie will likely be buried due to its sheer averageness – but I for one am thankful that it stands well as being perfectly entertaining if largely derivative. Unlike last year’s Ghostbusters, Ghost at least does what it does well, albeit without the originality and verve that made the anime so memorable.